Not to be satisfied with just 1 redzone penalty, the vikings get another one. Crax wrote: Not to be satisfied with just 1 redzone penalty, the vikings get another one. turning 7 points into 3 points takes special talent. There needs to be a stat called the 4-point play. How many times a defense stops another team in the red zone and holds them to 3 instead of 7. 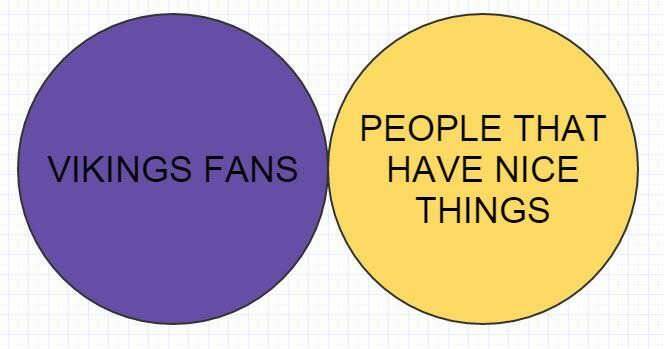 Or in the Vikings' case, how many times the offense biffs it and gets 3 instead of 7. Perfect example of two franchise headed in two different directions, Seattle makes it work no matter what, Vikings find a way to screw it up. Surprised Wilson is coming out again. He basically marched through the Viking D like a warm knife through butter- looks to be in regular season form. Why put him in again in a preseason game?? Geez, I love Danielle Hunter. That guy is so explosive. how many times are the Seattle tackles going to line up in the backfield? That's the last we'll see of Wilson this game. Too bad Tarvaris isn't their backup anymore. Well, that drive sure turned to poop. one drive we cant rush but can throw, next we can rush but cant throw. Drive killed by 2 horrible passes by Bradford. Gedeon looks to be OK. On sidelines. Little Marcus Sherels... the swiss army knife of the Vikings.